Last Sunday, I joined the Nat Geo Earth Day Run - my second race of the year. It was a familiar route with the starting line at Seaside Blvd near SM Mall of Asia going to Macapagal Blvd. 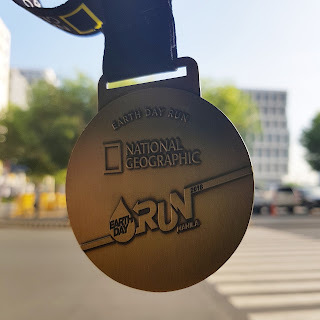 all the way to CCP then U-Turn along Roxas Blvd right before Quirino Ave then back to Seaside Blvd for the finish line. 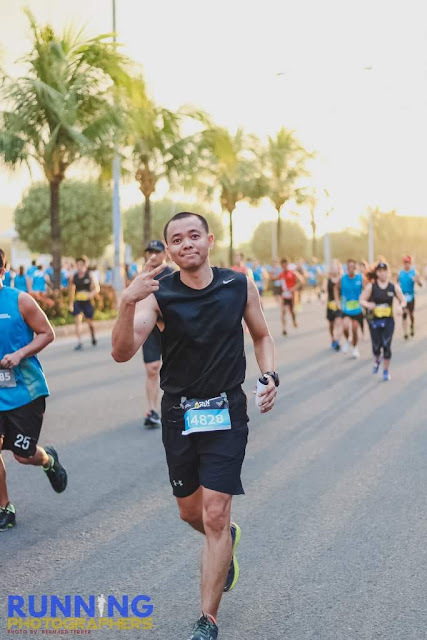 Unlike the Pinoy Fitness SUB1 Challenge - my first race of 2018, this one was lighter. I mean, less pressure. There is no pressure of reaching the finish line in less than an hour. Otherwise, no finisher's medal. I arrived at the starting line at 4:53AM. 7 minutes before gun start. 10, 9, 8, 7, 6, 5, 4, 3, 2, 1. Go! I was feeling great at the start compared to my previous race. No wiwi problem also. My pace was at 5:30 until about the 5km mark. I ran behind the two foreigner ladies until I could no longer keep up with their pace. And then they were gone. I didn't stop at any water stations because I had my own hydration bottle. And I didn't need to do a refill. Btw, no plastic cups in this race and that a reusable water bottle is included in the race kit. Awesome! From the 5km mark to about 7km was about focus. I tried to focus to at least maintain a 6:00 pace. I walk for about 30 secs if I needed to then run to recover the loss time. It was a well-organized and eco-friendly race. Great race. Kudos to RunRio! I thank God for this wonderful gift of being able to run and enjoy running. And thank you to my wife, family and friends for all the support.